Danielle Ward is a BBC Comedy and Time Out award winning comedian, actor and musician. Danielle’s TV appearances include Mock The Week, Newswipe with Charlie Brooker, Newsnight and NBC’s Last Comic Standing. As an actor she was cast in Phyllida Lloyd’s groundbreaking all-female production of Julius Caesar at the Donmar Warehouse and the New York transfer to St Ann’s Warehouse in Brooklyn, as well as playing the lead in Ellen Waddle’s breakthrough Creative England backed short film Stages. 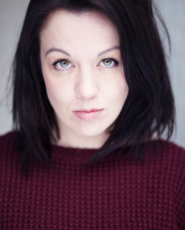 Danielle is a Radio 4 regular having appeared many times on The News Quiz, Dilemma and The Unbelievable Truth, also guesting on The Now Show, Look Away Now and 4 Stands Up. She was Dave Gorman’s Sunday morning co-host on Absolute Radio for the entire duration of his three year stint. Currently Danielle is enjoying great success as the host, writer and creator of Sony Award winning podcast Do The Right Thing which has attracted huge industry interest and shot a pilot in late 2016 for Channel 4 in which Danielle co-hosted with Claudia Winkleman. Danielle’s sell-out 2016 stand up show Seventeen is available on comedy streaming service Next Up. Until 2010 she was the bass player with Welsh indie favourites The Loves, playing four Peel sessions including one from Peel Acres on Valentine’s Day.